KINOBE is the new voice of Ugandan music - the inspired synthesis of African roots and world music, of traditional and modern instrumentation. 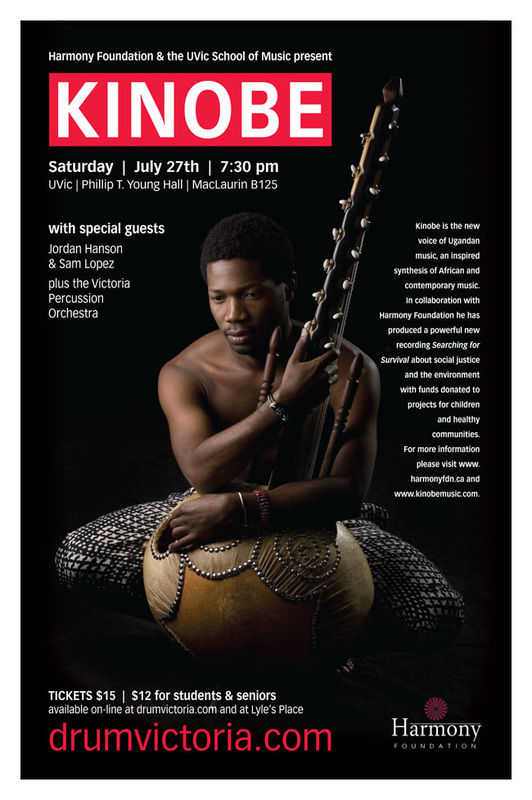 He will share the traditional sounds of Uganda and the African continent performing on a wide variety of acoustic instruments. In collaboration with Harmony Foundation, he has produced a powerful new recording, Searching for Survival, about social justice and the environment with funds donated to projects for children and healthy communities.